Dr. Valentina Vadi is a Marie Curie Postdoctoral Fellow at Maastricht University, the Netherlands. She holds degrees in law from the University of Siena, the European University Institute and the University of Oxford. She has lectured in international investment law in several countries and has published extensively in this area. The growing integration of the world economy and resulting increases in cross-border economic exchanges has been accompanied by the rapid growth of law and regulation governing these interactions. This series presents cutting-edge research in international economic law, offering fresh perspectives on what is a fast developing field. 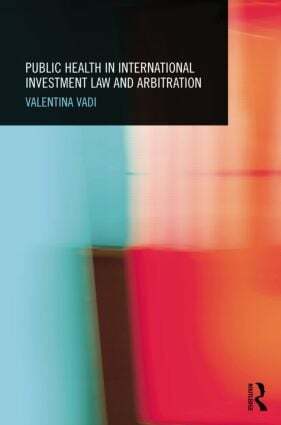 The series surveys the key areas of international economic law: international trade law; international investment law; international financial regulation and monetary law; and related aspects of intellectual property law. Linkages with other international legal regimes are explored such as environmental law, human rights, and public health, highlighting areas where tensions may occur between economic liberalisation, sovereignty and other concerns. Books will investigate the theory, policy and practice of international economic law from a broad range of approaches allowing for innovative and scholarly assessments of the international economic legal order.